Separate Campaigns: Bidding customizations by individual device: desktop, mobile, tablet (like pre-Enhanced Campaigns). Tablet bids are no longer joined to desktop bids. Advertisers no longer need an incentive from Google to invest in mobile search. In our mobile-first world, mobile search is a requirement for performance. 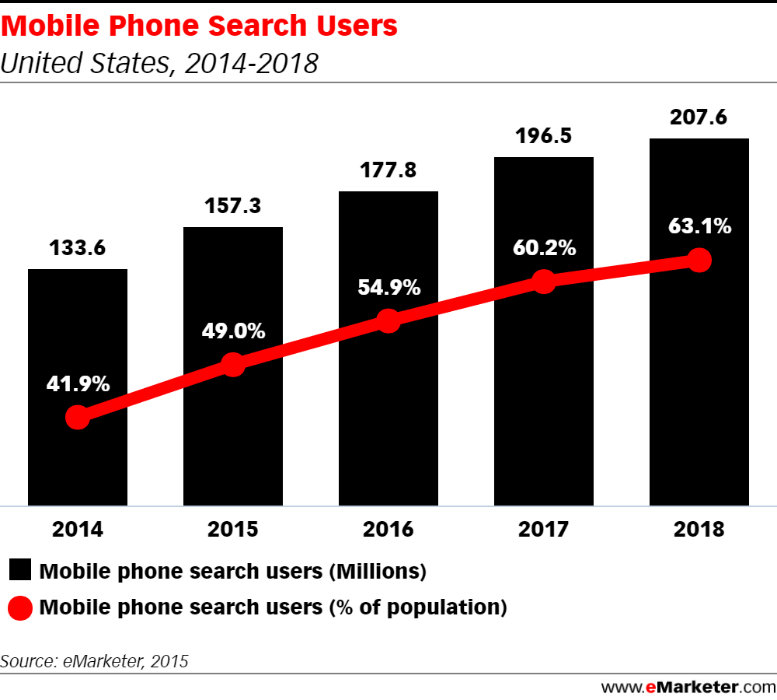 Mobile search investment is here and will only continue to grow. Google can now give advertisers back the flexibility they need—flexibility that more sophisticated advertisers lacked in Enhanced Campaigns—to customize bids by device and run mobile-only campaigns. Google is making it clear that it’s constantly evaluating how consumers are using Google products (e.g. mobile-first), and that it will continue to develop and evolve based upon these trends. 1. Control: Advertisers now benefit by getting more targeting control, particularly with the increased flexibility enabled by new bid modifiers ranging from -100% to 900% across all three device types. Couple that with the coming launch of look-alike modeling for Search (Similar Audiences in Search), and advertisers, all of a sudden, have more data inputs in search than ever before. This enables advertisers to better understand and target customers in line with various intents. 2. Efficiency: Google’s new bidding features gives us more power to understand the right place, time and device to reach different consumers. This—in turn—will result in greater ROI and efficiency for advertisers. Brands can stop spending money on inefficient keywords and targets, and instead focus those dollars on the right device and message that will best satisfy a consumer’s intent. 3. Integration: Everyday, consumers demonstrate their intent across digital media interactions in new ways. Technology, applications and formats for ingesting information are changing by the minute. Consumer expectation is now the true north for any successful marketing campaign, and Google’s announcement and alignment to the mobile-first world recognizes this loud and clear. Advertisers must learn to move faster, adopt new strategies and have a greater appetite for testing. As such, a siloed, channel-specific approach to marketing is more dangerous than ever. As these changes roll-out, all advertisers should return to device-type bidding. We expect that this will improve relevancy, click-through and—ultimately—conversions. We’ll pay close attention to performance metrics and provide an update in the near future. To learn more about Google Device Bidding Changes, contact your Performics account team today.